The Zeeland Township Board recently decided not to contribute funds to the Zeeland Historical Society's schoolhouse project but revisit the group's funding request when putting together next year's budget. Board members agreed to wait to contribute money for the schoolhouse remodeling, deciding instead to set aside a specific amount of money for community project funding requests during the budget process in the fall. Historical Society manager Kit Karsten had asked township officials for money for the renovations to the former New Groningen schoolhouse on Paw Paw Drive in Holland Township. "I don't see the need to spend township money on the project," Trustee Tim Barkel said, adding, "It's not even in our township." Trustee Corey Companger said while the project will be good for the community, he questioned how much the township should contribute to private funding requests. The township gave $5,000 to the Historical Society when it purchased the building two years ago for $154,900. For the purchase, the city of Zeeland funded $10,000 and Holland Township gave $50,000 toward the purchase. The Zeeland City Council recently agreed to fund $5,000 a year for five years to help fund the renovation costs. The Historical Society plans to renovate the building, which was rented as a duplex, back into a two-room schoolhouse. The school was in use from 1881 to 1951. Exterior renovation plans include restoring the Veneklasen brick exterior, the original bronze bell, and historically accurate wood windows. Interior renovations include reconstructing the school's coatrooms, classrooms, original tin ceiling, and hardwood floors. Other work includes installing historic desks and light fixtures and mechanical, plumbing, and electrical work. 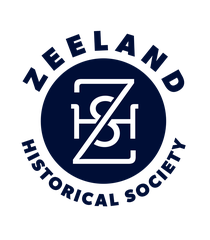 Once the building is renovated, it will be used as a community meeting place, for educational programs, and a place to house the schoolroom exhibit currently at the Zeeland Historical Society/Dekker Huis Museum at 37 E. Main Ave.